The Lundquist College of Business Doctoral Program in Management trains students to become researchers and educators in strategic management with a focus on technology, innovation, entrepreneurship, and sustainability. Students have unsurpassed intellectual freedom. 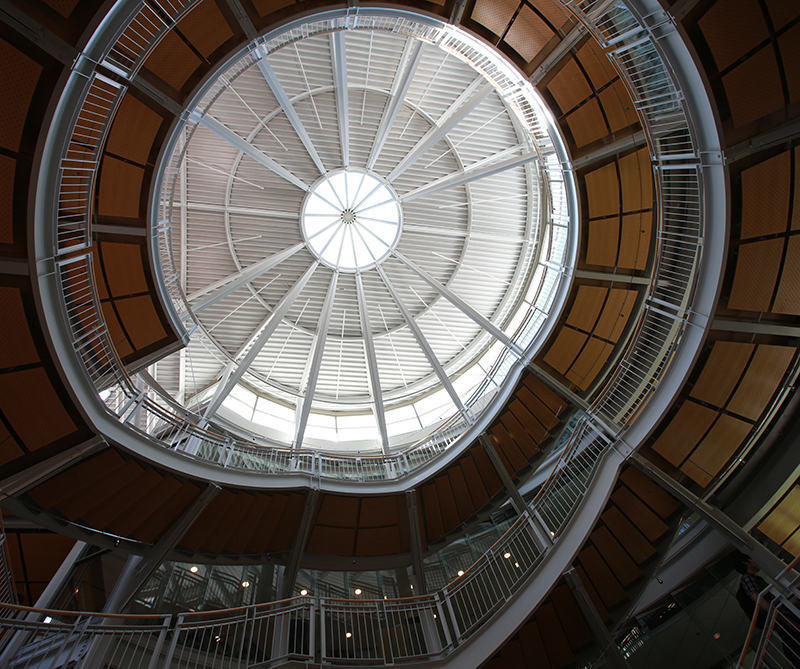 Our faculty is open-minded to pursuit of novel research questions, approaches, and contexts. We do demand that our students create sound theoretical arguments, gather unique datasets, analyze them rigorously, and consider managerial implications. We expect and enable our students to make a real contribution through both publishing and teaching. Our program requires 17 courses, including five graduate level courses in statistics and/or research methodology, six graduate level courses in behavioral sciences (e.g., sociology, psychology, or economics), and four Management doctoral seminars. To advance to candidacy, students must also write a conceptual paper and an empirical paper. 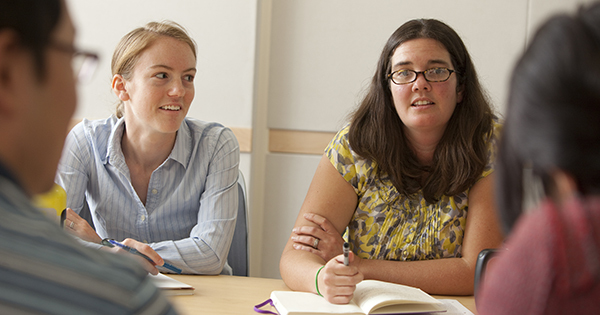 Upon passing comprehensive examinations, typically the summer after the second year, students begin working on their dissertation in close consultation with faculty mentors. This applied econometrics course is designed for graduate students using quantitative, and particularly nonexperimental methods, in their research. We will cover data management, analysis, diagnostics, assumptions, and presentation of data in tables and graphics. Our focus will be on integrating and building your knowledge of research design and causal inference with data management and analysis skills that you can apply immediately to your work. The sequence is designed so that we will cover as many advanced quantitative analysis topics as possible. I assume that you have some familiarity with basic statistical concepts. I also assume you are familiar with the software package STATA. This course complements the other doctoral seminars by delving more deeply into methodological issues. During the term, we take a fresh look at an old problem in the social sciences: causal inference. As Angrist and Pischke (2010) assert, the past few decades have witnessed a “credibility revolution” in empirical economics. We will cover key aspects of this revolution and discuss their implications for research design and the interpretation of empirical evidence in a variety of disciplines, including sociology, political science, history, economics, and management. The purpose of this course is to improve the sophistication of students as budding scholars—both when designing the empirical component of their research and when critiquing evidence produced by others. By exposing students to useful methods and discussing linkages among them, this course also trains students to think more deeply and creatively about the “why should I believe your story?” question. In doing so, it leaves students better equipped to anticipate and pre-empt questions often asked by reviewers and seminar participants: “What, exactly, is your identification strategy?”, “Isn’t this relationship endogenous?,” “Isn’t your evidence also consistent with…[insert pet explanation here]?” This seminar is not an applied econometrics course. Instead, it focuses on understanding the intuition of alternative research designs and the conditions under which such designs are particularly useful or limited. This doctoral seminar provides an overview of economic theories relevant in conducting research on organizations and strategy. This includes the behavioral theory of the firm, neoclassical economics, transaction cost economics, property rights, agency theory, the resource-based and capabilities view, evolutionary economics, knowledge based view, real options, and behavioral economics. It is a complement to the seminar course on organizational theory, which primarily covers sociological theories. Due to time constraints, we will not be covering many empirical papers, however some are listed on the reading list if you are interested. In addition to the economic material, other topics will be covered to assist in your socialization into the academic profession. As the title suggests, this PhD seminar introduces students to the study of organizations through the lens of network analysis and institutional theory. Network analysis is a form of structural analysis in the social sciences. It is based, therefore, on the assertion that the pattern of relations amongst individuals and organizations is responsible, at least in part, for the actions of these individuals and organizations. Institutional theory has enjoyed a powerful resurgence and is currently the dominant theoretical perspective (according to bibliometric analyses) for the study of organizations. Institutional theory is also a core component of economic sociology, which emphasizes the importance of social relations in shaping economic behaviors. Exciting work in organizational theory is taking place at the intersection of networks and institutions. The purpose of the course is to provide students with a thorough grounding in the “classic” social science literature on these topics. The readings are organized to provide an introduction to fundamental concepts, followed by an elaboration and extension on these concepts. Over the course of the quarter, we’ll cover a number of topics, including embeddedness, institutional diffusion, institutional change, historical contingency, and network dynamics. Please note, however, that this is not a course on methods; in particular, while the final class provides an overview of select research methods, this course will not cover the logistics of collecting and manipulating network data. The course presumes no previous specialized background in organization theory. This course will provide willing students with an understanding of various topics in organizational behavior and will help them develop the scholarly skills needed to critique and develop organizational research. To this end, students in the course will: read and critically assess current and classic research in various areas of organizational behavior; actively participate in seminar discussions; identify and develop their own research ideas; present this research to their peers; practice writing and reviewing research articles. This is a doctoral level seminar that will require students to read all selected readings prior to each week’s session. Topics may include the following: writing and scholarship; theory construction; personality, self, identity; performance and initiative; culture and climate; motivation; mood and emotion; justice and trust; leadership; groups and teams; judgment and decision making, cognitive biases; other areas tailored to students in class. This course in organization theory covers selected theoretical perspectives on organizations and organizing, such as contingency theory, institutional theory, ecological and evolutionary theories, networks and virtual organizations, information processing, learning and knowledge, managerial and organizational cognition. This seminar focuses on the skills involved in designing, conducting, reporting, and evaluating research in the social/behavioral sciences. It surveys alternative research paradigms, with an emphasis on articulation of research questions and designing procedures to bring these questions to an empirical test. Specific topics include: Measurement, Experimental Design, Field Experiments, Surveys, Questionnaires and Interviews, Qualitative Research, Observational and Ethnographic Research, Archival Data Analysis, Databases and Research Support Services, Reporting and Publishing Research. Students begin by formulating a research question. The seminar then explores a series of research paradigms. As it does, students write four research proposals for examining or testing their question using the methods associated with each paradigm. Developing these proposals highlights the connections between building theory, generating hypotheses, designing research procedures, analyzing data, and interpreting results. In the process, students gain an ability to understand and critically evaluate different styles of research. The seminar is a good platform for developing a dissertation proposal. This course exposes doctoral students to important topical areas in strategic management. All represent important, vibrant research contexts. This course is challenging, exciting, and provocative. It requires that students allocate considerable time to reading and analyzing major articles and book chapters in strategic management, and arrive in class prepared to engage in lively discussions about the topics at hand. To meet this mandate, students often will need to read beyond the assigned articles, so that familiarity with the place of the article in the greater stream of literature is clear. Topics include conceptual and empirical work on stakeholders, entrepreneurship, social entrepreneurship, innovation and technology, international and political issues.